Destacado periodista, dramaturgo y ensayista yucateco. Patronato Pro Historia Peninsular, A.C. Outstanding journalist, playwright and essayist of Yucatán. Erected by Patronato Pro Historia Peninsular, A.C. y el Honorable Ayuntamiento de Mérida. Location. 20° 58.388′ N, 89° 37.605′ W. Marker is in Mérida, Yucatán, in Municipality of Mérida. Marker is on Calle 53 just west of Calle 66, on the left when traveling west. Touch for map. 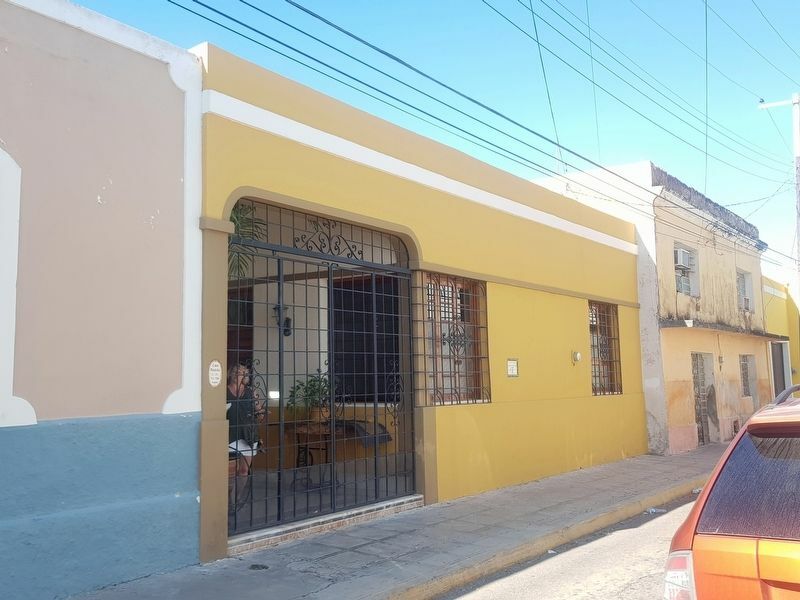 Marker is at or near this postal address: 526 Calle 53, Mérida, Yucatán 97000, Mexico. Touch for directions. The marker can be seen to the right of the window near the entryway to the house. (approx. 0.4 kilometers away); General Santos Degollado Sánchez (approx. 0.4 kilometers away); Temple of Santiago (approx. 0.4 kilometers away); Julia Dominga Febles y Cantón (approx. half a kilometer away); "El Colonial" (approx. half a kilometer away); Coronel Sebastián Molas (approx. half a kilometer away). Touch for a list and map of all markers in Mérida. More. 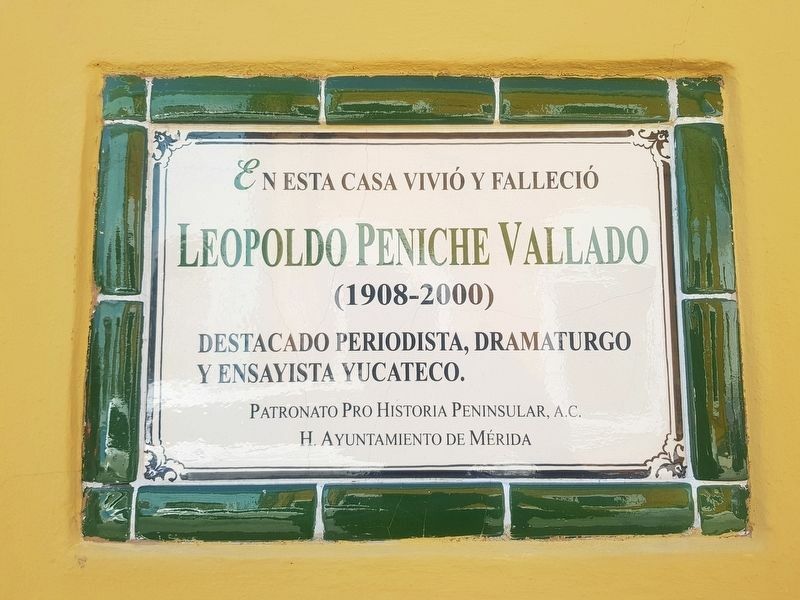 Search the internet for Leopoldo Peniche Vallado. Credits. This page was last revised on March 15, 2019. This page originally submitted on March 7, 2019, by J. Makali Bruton of Querétaro, Mexico. This page has been viewed 42 times since then. Photos: 1, 2. submitted on March 7, 2019, by J. Makali Bruton of Querétaro, Mexico.